If you use [Adobe AcrobatTM Professional]. 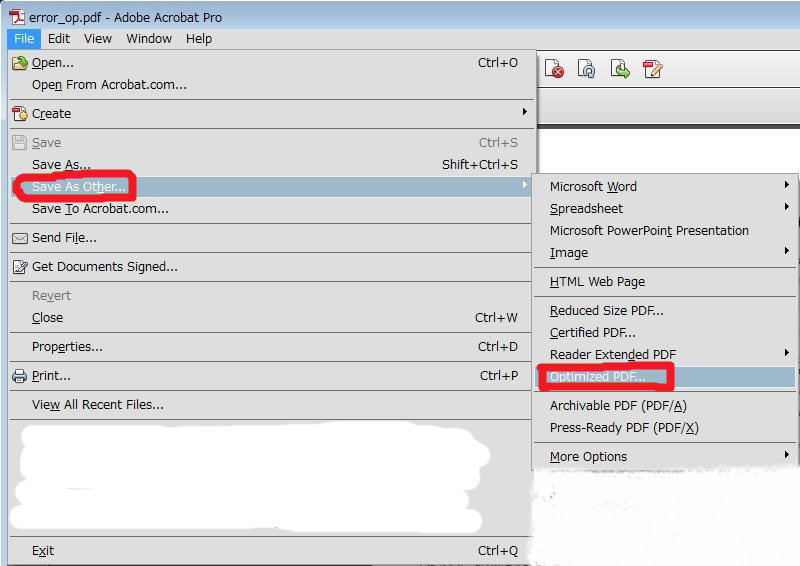 1.Open the PDF Optimizer dialog box (File > Save As others> Optimized PDF). ※To Enlarge click on this image. 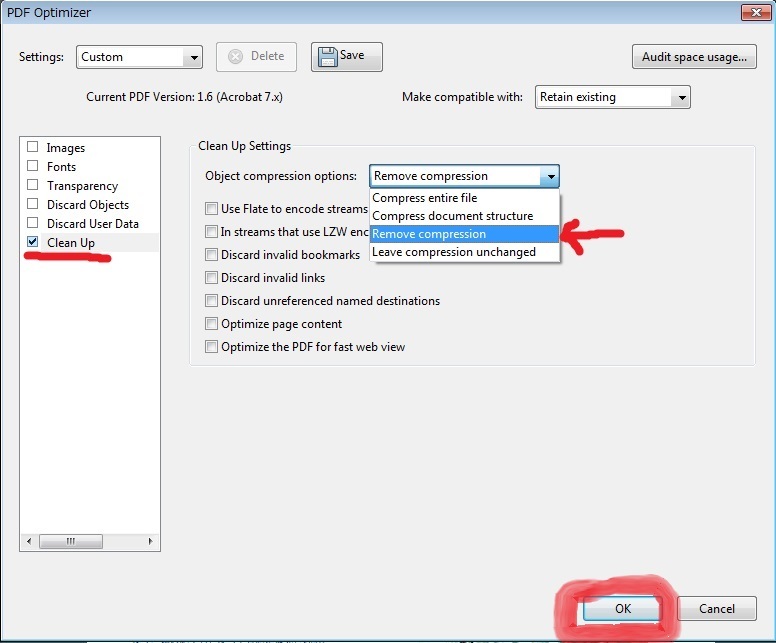 2.Select the "Clean Up panel", Choose "Remove compression" at Object compression option. 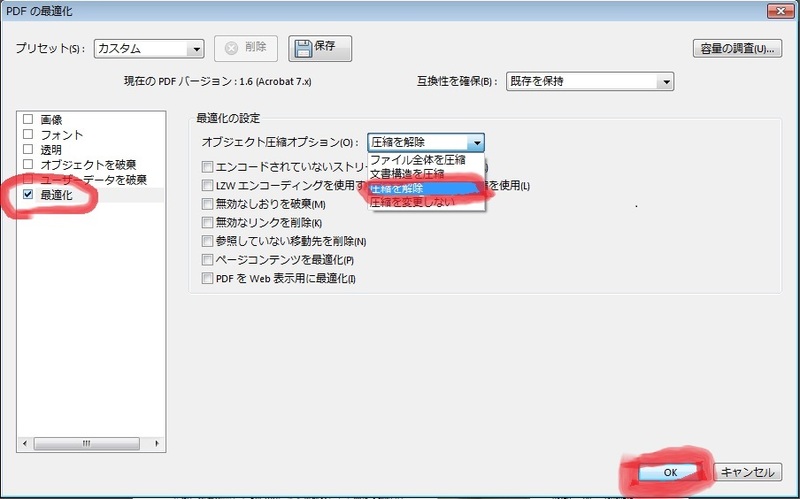 3.Press "OK" and save as new file. 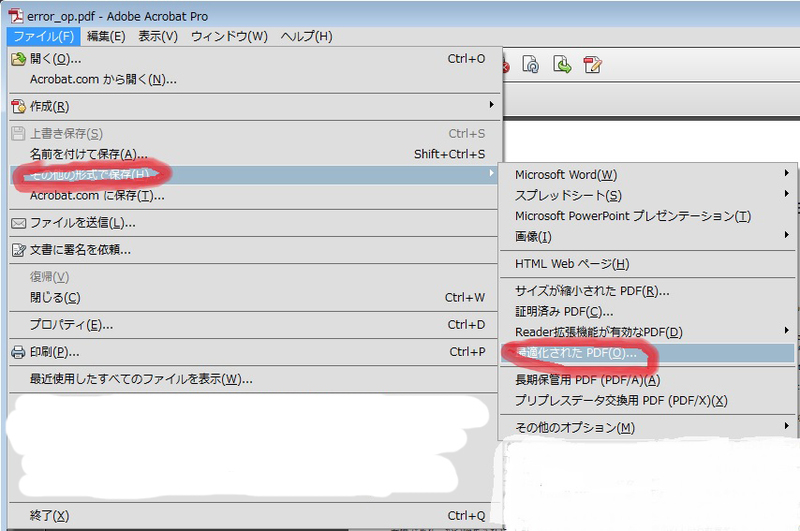 If the problem is not resolved, or you don't have acrobat pro, please contact us here. Copyright © 2017 Robotis Society of Japan, All Rights Reserved.